If you’re looking for a new vehicle, you likely aren’t considering one particular type of car: the minivan. Minivans often come with a negative connotation, but most drivers don’t realize that these family vans are actually a great option. Minivans may have a stereotype and a reputation, but there’s a reason you see so many on the road – they’re truly a good choice for many drivers. Here are five tempting reasons a minivan is a great option for your next new car. Once you purchase a minivan, an advantage you’ll notice right away is that they can be far more affordable to maintain than SUVs. Over a five-year period, Kelley Blue Book reports, the average minivan comes with average maintenance costs of no more than $2,000. 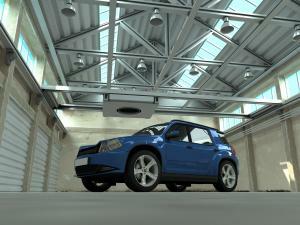 On the other hand, many SUVs come with maintenance bills in excess of $3,000. 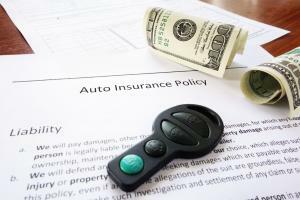 In addition to being more affordable to maintain, minivans can also be more affordable to insure – it’s a vehicle often given cheaper rates. There are a variety of reasons why minivans have lower insurance rates: minivans tend to have higher safety ratings, are less likely to be involved in rollover accidents, and are less prone to theft and vandalism. On average, drivers who purchase a minivan can expect to save up to $300 per year compared to other car owners, 4autoinsurance.com reports. If you enjoy taking long road trips or vacations within driving distance, a minivan is the perfect choice. Minivans have tons of space. Most minivans today have the ability to sit between seven and eight passengers comfortably, while still having enough cargo space to fit several suitcases. Furthermore, your passengers will enjoy more leg room and more space to lounge. Another advantage of driving a minivan – especially on a road trip – is they come with a wide variety of features that make them ideal for long road trips, like infotainment screens. Most minivans today come with upgradable entertainment systems that include HD speakers, a DVD system, and even WiFi. Minivans are also versatile. While they’re easy enough to drive on congested city roads, they’re also sufficient off-roading vehicles. This versatility is ideal for travelers looking for an adventure in any environment. Minivans are particularly ideal for people who need more space all around. 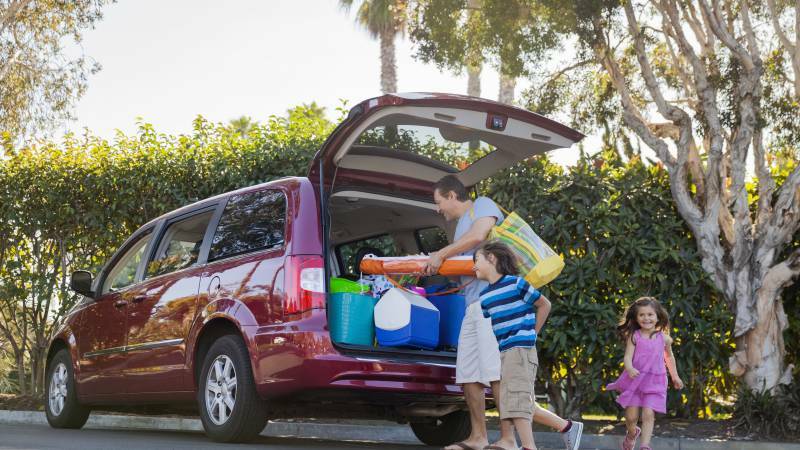 Whether you’re storing luggage or tons of groceries, or you need enough room for kids and adult passengers, a minivan is spacious enough to handle any scenario. Many minivans fit up to eight passengers and still provide a lot of storage space in the trunk or under the seats. Minivans have nearly 40 cubic feet of cargo space when all the seats are up, Consumer Reports notes. When the third row is folded down or removed, that space can increase to over 100 cubic feet. When both of the back rows are folded down, there’s nearly 150 cubic feet or storage space for drivers. One reason people shy away from minivans is they’re concerned they’ll really only need the van for a few years and they’ll ultimately want to switch to something smaller. After all, families typically only need a minivan when children are young; once they’re older, you don’t need to haul as many people or belongings. While buying any kind of vehicle does come with a commitment, you don’t have to own your minivan for a lifetime. In fact, buying a minivan and planning to sell it within a few years can be a financially sound plan. That’s because minivans have great resale value. As AutoByTel writes, minivans tend to get better resale prices than other types of cars and SUVs. This is partly due to the fact that there’s always a high demand for minivans – and minivans tend to depreciate at a slower rate. If you’re not ready to commit and purchase a minivan, you can also choose to lease your minivan. Today, many of the top minivan dealers offer great deals on their new fleet, which includes monthly payments of less than $350 per month for fully-loaded vans according to US News. Leasing a minivan instead of buying could provide you the chance to score the spacious family van you need at a low monthly price for two to three years. There’s one big reason to buy a minivan, though – and that’s the price. Minivans aren’t the coolest cars on the road, so while demand is high for families, most drivers aren’t clamoring to buy the newest minivans. And this means there are almost always great deals on minivans. 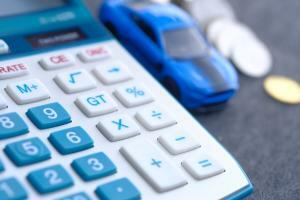 While minivans can come with a higher sticker price, dealerships are almost always willing to negotiate on price, services, and upgrades for a new minivan because they need to sell minivans just as much as their newest sports cars or SUVs. From incentives to cash back rebates to special financing offers, buying a minivan can mean scoring a great, affordable deal. Make sure to shop around and compare the price of a new minivan to other spacious cars like SUVs and crossovers. You’ll likely find that dealerships offer better deals and prices on minivans, giving you the same space and great amenities at a lower price. Do your research and you’re sure to find the best price by searching for the best minivan pricing in your area. If you’re interested in a new minivan, start a search today. Which 2019 SUV Is Right for You? Since 1974, the Toyota Corolla has been the best selling car in the world. Ford’s F-series and the Volkswagen Beetle are the two closest runners up, taking second and third place in history.